The Foundation's successful operation depends primarily on dividing responsibilities between various departments. Some of the Foundation's departments are listed in this document. For the sake of efficiency, all departments are closely coordinated. 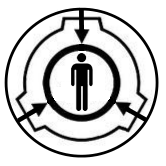 The Administrative department is headed directly by the O5 Command and the Administrator. 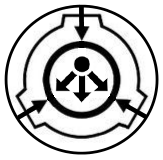 It directs the Foundation's actions on all levels. This department includes all communication nodes and command centers; every such node and center has a standby for failure redundancy. The jurisdiction of AD also include whole Foundation's financial operations, like disposition of funds, accountancy, budget planning etc. Due to the importance of this department, loyalty checks are more frequent here than anywhere else. The record-keeping office also belongs to this department. DEA is responsible for a wide spectrum of operations: planting disinformation, eliminating traces of SCP (both objects and the Foundation's) activity, D-class personnel enlistment, and recruiting new employees from military and civil institutions. The DEA is responsible for concealing the activity of Foundation agents and facilities in populated areas. DEA is essentially the front line of the Foundation as it filters all potential employees and is responsible for maintaining high standards among recruited personnel - this can also be called HR. E&TS is responsible for technical maintenance and everyday services of all facilities and equipment in active Foundation use. This department is responsible for design and construction of new facilities and routes of communication as well as repair and maintenance. E&TS department is divided into several sub-departments based on clearance levels and appropriations; employees with higher clearance levels design and build Keter-class containment chambers and work with strategically important facilities. 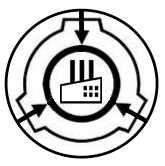 Ethics Committee is a small independent department responsible for reviewing containment procedures and checking conducted experiments for excessive waste or inappropriate use of Class D employees and other resources. 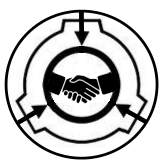 The Committee's existence is thought to be a poor joke by some, but it plays a significant role in the Foundation's operation and is quite influential. 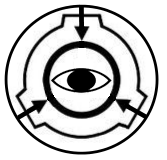 The Intelligence Agency is tasked with searching, tracking, and capturing uncontained SCP objects and gathering intelligence on hostile groups of interest. Undercover IA cells exist in every major populated area and disguised as civilian objects and institutions. Intelligence agents are usually recruited from various defense and law enforcement agencies and special services of the world. 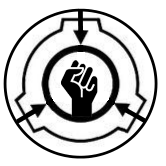 ISD is a concealed "foundation within the Foundation", a secret police force responsible for filtering traitors as well as operational and information security risks among the Foundation's ranks. The department is strictly hierarchical, adhering to stringently defined multi-stage investigative protocol. Potential ISD agents must have a perfect service record and a length of Foundation service of more than a year. 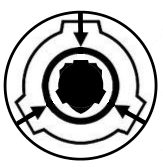 Usually, every ISD agent keeps his "official" position in order to provide his command a first-hand account of everything happening in a given department. The very existence of ISD is usually presented as a myth. The "official" responsibility of ISD is investigation and interrogation of captured GOI agents, although that part of ISD officially belongs to Security Department for the purpose of secrecy. Logistics Department is responsible for transferring natural, financial and human resources between Foundation facilities. Transportation is conducted using automotive, water, railroad, aerial, space, and other transport. 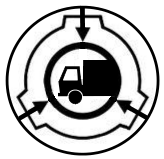 There is a complicated system for assigning transportation priorities and importance classes; SCP objects and resources necessary to contain them usually get top priority. Disposing of arising hindrances during shipments is also a top-priority action. Manufacturing Department is responsible for fulfilling any material requests that can arise during capture, containment, or any other Foundation process. Manufacturing Department has several Sites and Zones wholly devoted to constructing a wide profile of custom-made or mass-produced items. Designing and manufacturing is often done on-site for security reasons. For the same reasons, neither the manufacturing staff nor the design documents ever leave the facility's limits. These are usually stocked with modern equipment and are heavily guarded. The Foundation's Medical Department is responsible for keeping employees in good health. Due to the nature of Foundation work, medics often encounter difficult to treat and highly unusual instances of wounds, trauma, infections, and disorders. Because of this, the MD adheres to exceptionally high personnel standards. 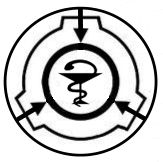 Some Foundation medics specialize in secondary areas of treatment expertise such as memetic influences, psychological trauma, and so on. The Foundation's line of work requires a large number of highly specialized professionals. 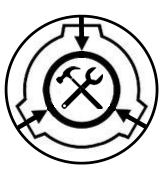 This is usually related to anomalies that require much effort and an unorthodox approach for containment. To address this, Mobile Task Forces are formed. MTFs are teams of varying size that specialize in specific roles or respond to specific situations. Every group has a name consisting of a Greek letter and a number; clarification prefixes and/or call signs may be employed in some cases. More information may be found at the Overview for Mobile Task Forces. Efficient scientific work is the cornerstone of the Foundation's existence and operation. 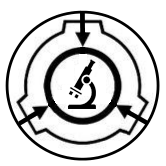 The Scientific department is responsible for studying all contained and new SCP objects, developing countermeasures for containment breach events and designing various devices and medicinal products to be produced by the Manufacturing Department. Scientific Department employees are recruited from among the best and most promising scientists in various fields. 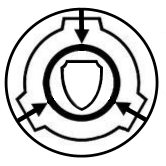 This department is responsible for providing security and protection for all Foundation facilities and objects, regardless of their priority. SD employees are trained to counteract containment breach events, intrusions, sabotage, natural disasters, and other emergencies. Newcomers to this service usually undergo general training before being assigned to an object or site. Special training for working with a given object is performed on-site after assignment.